We're Teen Talk's Youth Forum, Harwich Inspired Youth Action (HIYA). 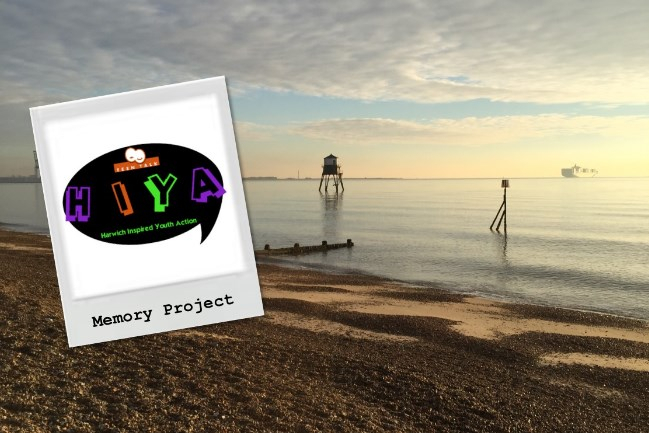 We have been working with members of the Harwich Community to gather information about their childhood memories and to see how being a teenager has changed over the years. We will be making these memories into a newsletter to be sent out to local residents. This edition features Andy Rutter, from the Harwich Society and was written by HIYA member Kieran Hutchence. This is a story about a person I know and his name is Andy Rutter. He was born in Newcastle in 1932. 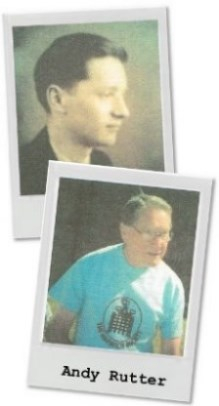 He started at primary school in 1937 at the age of 5 up to 11. While at school he had the cane every day. In 1945 he went to grammar school at the age of 11 up to 16. He said it was better than primary school because there was no cane. When he finished grammar school at the age of 16 he got his first job at British Railway and worked there for a year. At 17 he joined Customs & Excise in London and retired as a Senior Officer in Harwich in 1991. When he was growing up, World War 2 had just started. Andy said 'I thought it was exciting because nothing normally happens like this.' Growing up in the war, there was no restaurants because of the war and rations. However, every year on his birthday he would go out with his family for a tea cake and a cup of tea. That cost 6 pence. When he was growing up his hobbies were cycling because back in WW2 there was no technology due to it being used for the war. In his spare time he went to boy scouts. Also in his spare time Andy used to hang out with his friends on the streets, there wasn't much traffic back then due to petrol was rationed. His best childhood memory was when he got his bike at the age of 11. This was his main transport for getting him to grammar school. In WW2 there was a bus that ran an hourly service, Andy had to catch the bus and go visit his grandparents. The bus ticket cost 1 shilling. Nowadays that would be about 5 pence. In 1956 aged 24 Andy moved to Harwich. The town was full of shops and they were always open. When the flooding hit Harwich in 1953, Andy wasn't there, he was in King's Lynn in the RAF in Norfolk. However, while there was flooding down Harwich there was also flooding in Norfolk. HIYA feel that Andy's view of there being two types of teenagers, the good ones and the bad ones, are the view of many adults today. But the HIYA members don't feel like that about themselves and the young people they know. They think there are lots of different categories of teenager; happy, confident, lazy, and that a person doesn't fit into one good or bad type all of the time. HIYA hope that their work will continue to represent the many good types of young people in Harwich. We'd like thank Andy for helping us with our Memory Project. If you would like to share your memories of Harwich with us, just get in touch on 01255 504800 or email teentalkjodie@hotmail.co.uk. Copyright © 2015 Teen Talk, All rights reserved.